Unity Vector: What Would You Do? Ask a lot of people what they would do if they only had two weeks to live, and the most likely responses would involve personal gratification, like going to places they've never been or indulging in their favorite meals. Brenden Foster, however, was very different. 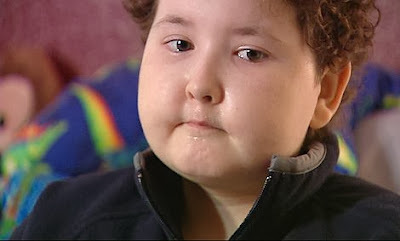 This 11-year-old boy was diagnosed with leukemia and, when asked about his last wish in December 2007, he didn't request to go to Disneyland or meet his favorite celebrity. Instead, his last wish was to simply feed the homeless. This very unselfish wish touched the hearts of a lot of locals, who began a food drive as fulfillment to the boy’s dying wish. Over 2,500 meals were served at the Union Rescue Mission in Seattle in Brenden’s honor. On the paper bags that contained the meals, volunteers wrote “Love, Brenden” as a way to keep his legacy alive. While Brenden was too weak to participate in the distribution of foods, he was at least able to live long enough to see his wish come true, before eventually dying in the arms of his mother.